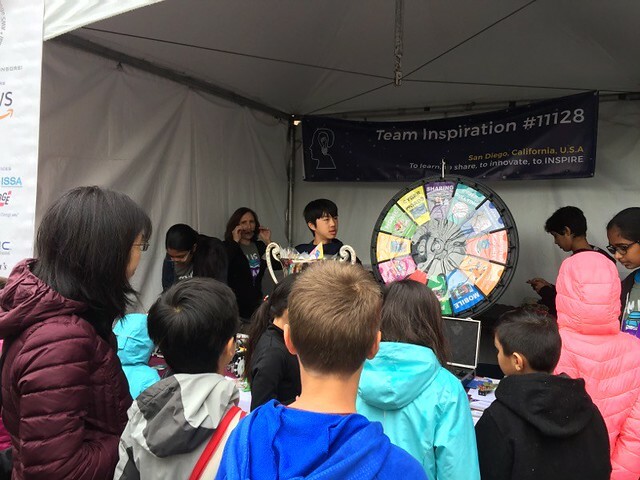 Once again NDIA San Diego Chapter was a Titanium Sponsor for the 2019 San Diego Festival of Science & Engineering at PETCO Park and once again the NDIA Exhibit booth was was a beehive of activity. Even the rain didn’t dampen the crowd at the NDIA booth! Over 17,000 attended! Students learned about Robotics, Drones, Electronics, and Cyber Security. In addition the volunteers asked the kids thought provoking questions about their school, education and career desires. Thank you all for making the DAY a resounding success.Your participation, imagination, and talking with the Students and Parents helped to deliver another outstanding and memorable day of hands-on, interactive Science, Technology, Engineering, and Math (STEM) activities. You helped awaken a greater interest in STEM and STEM education for many students across all socio-economic backgrounds. It has been a pleasure working with you and sincerely appreciate your time, energy, and commitment to NDIA supporting the San Diego Festival of Science & Engineering!